A new project by Davis Brody Bond Aedas meant to anchor public life for area residents. As budget cuts chop library programs out of schools, public libraries are becoming increasingly important in their roles to educate entire communities. But they also serve another purpose as town squares for neighborhoods–places where people can come together and share ideas. 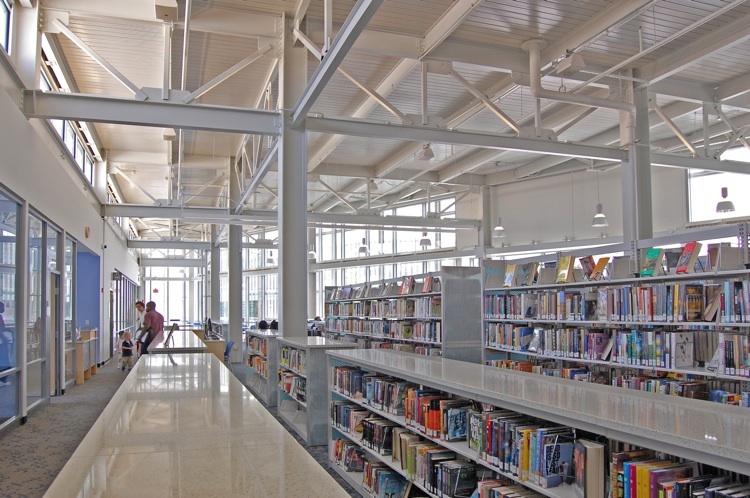 The new Watha T. Daniel/Shaw Library, which opened this month in Washington, D.C., hopes to become the center of the neighborhood by adding uses that reach beyond reading, and creating a dynamic space that transcends the typical tomb-like library setting. Designed by Davis Brody Bond Aedas–architects of the upcoming 9/11 Museum–the Shaw Library offers multi-functional spaces like conference rooms and small study rooms that could allow for business meetings or other collaborative efforts. These can be reserved in advance using an online reservation system. 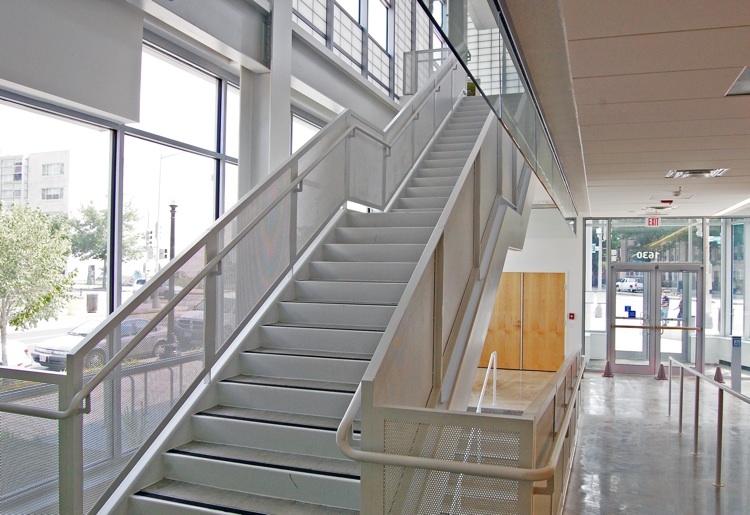 On the ground floor are several more multi-purpose spaces for community gatherings or meetings. And outside, a public plaza opens out to the street, with a sculpture by artist Craig Kraft that draws people into the space. Located on a sliver of land near Howard University, the library is also a green oasis in the middle of a dense urban area. 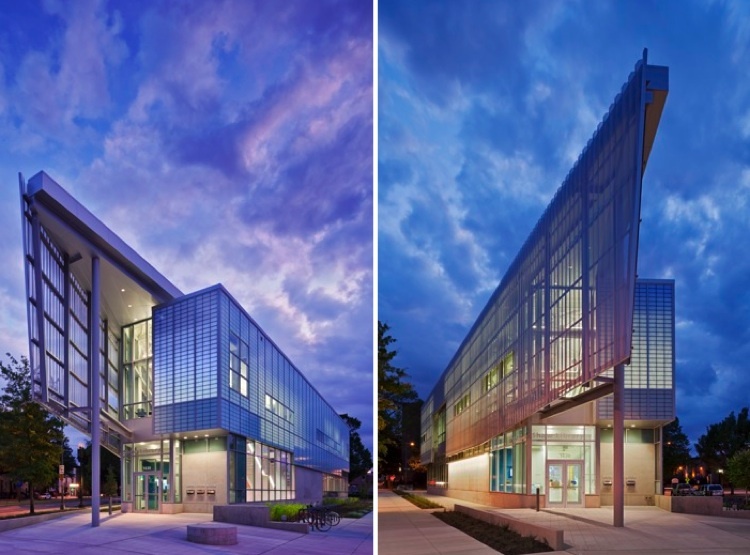 To keep the insides cool, the building has a perforated aluminum screen along its southern flank. The screen sits three feet from the outer wall, shading the reading rooms from bright, book-damaging sun but allowing enough natural daylight to filter into the space. Of course, none of this matters unless people actually use the place. But it seems to be a popular spot. According to local blog TBD, the branch manager reports “gangbusters” business, with 374 new library cards issued plus 3,160 books, CDs, and DVDs checked out in the first week. When the library was in its former temporary trailer space, the average per week was about 70 cards issued and about 1,200 books and other materials checked out. For a walk-through of Davis Brody Bond Aedas’s 9/11 Museum in New York, click here.